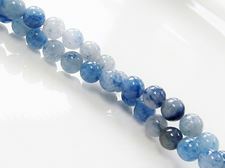 The gemstone, aventurine quartz or aventurine for short, thanks its name to aventurine glass or goldstone (see: http://dunebeads.com/en/lab-created-stone-beads-night-blue-goldstone) which was discovered by chance (it. All'avventura) during the 18th century. 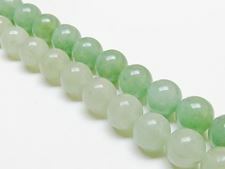 Aventurine exists in green, blue & silver gray, but also in creamy yellow, orange & reddish brown, depending its mineral inclusions. The green quartz holds chrome-rich fuchsite (mica), while the blue variety contains inclusions of Dumortierite. 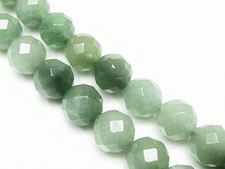 As Aventurine consists of two minerals, depending whether the second mineral is considered an inclusion or not, it is sometimes classified as a rock and quartzite instead of quartz. 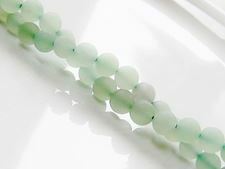 Dune beads' green Aventurine varies in color from pale to dark green, whereas blue Aventurine comes as well in pale blue as in deep indigo. 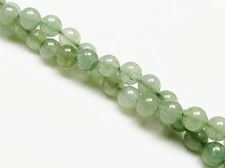 But this translucent to opaque gemstone is particularly appreciated for its 'aventurescence', a shimmering effect similar to the one of labradorite (feldspar). 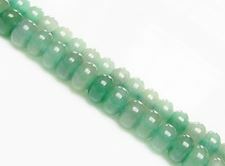 Although green Aventurine is sometimes mistaken for amazonite or jade, all these gemstones lack the appealing velvety sheen of Aventurine. 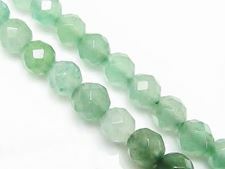 Some believe that green Aventurine brings inner peace while the blue encourages communication and is the alternative birthstone of August. 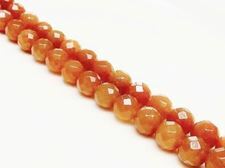 Peach or red brown Aventurine on the other hand is said to boost decision making and creativity. 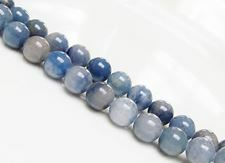 Dumortierite, the mineral responsible for the color of blue Aventurine, is named after the French paleontologist, Eugène Dumortier and has a mottled silky appearance. It comes often in lovely deep shades of blue, purple-red or green. It's often used in high-end ceramics as it becomes pristine white through heating. 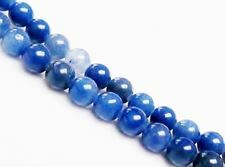 Sometimes it may be confused with Sodalite and Lapis Lazuli.